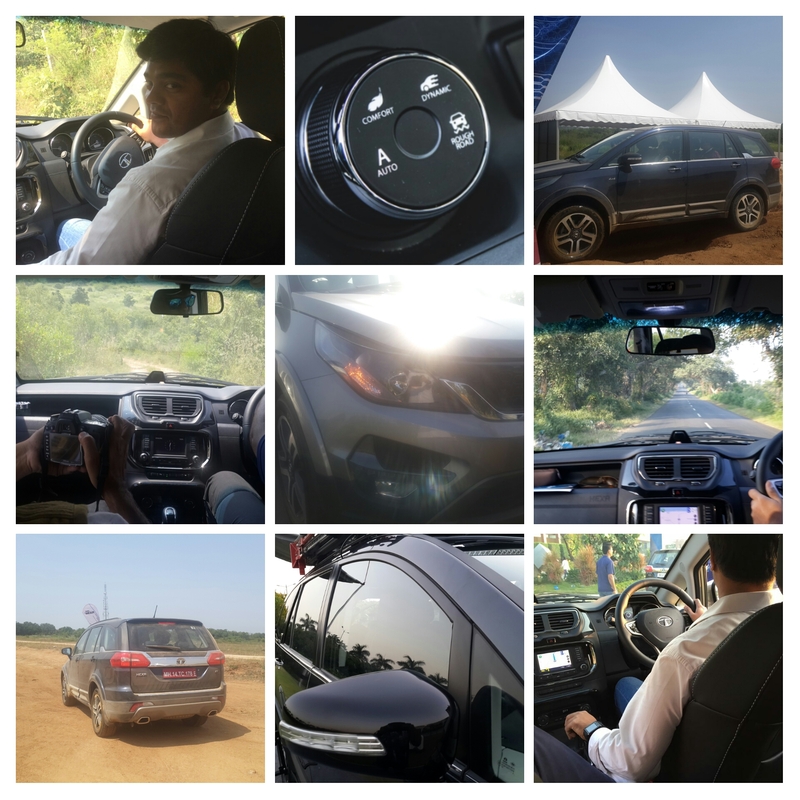 A monstrous elegance, a beast that is powered with sporty looks and a powerful machine, is how, I would describe the Tata Hexa Drive experience. 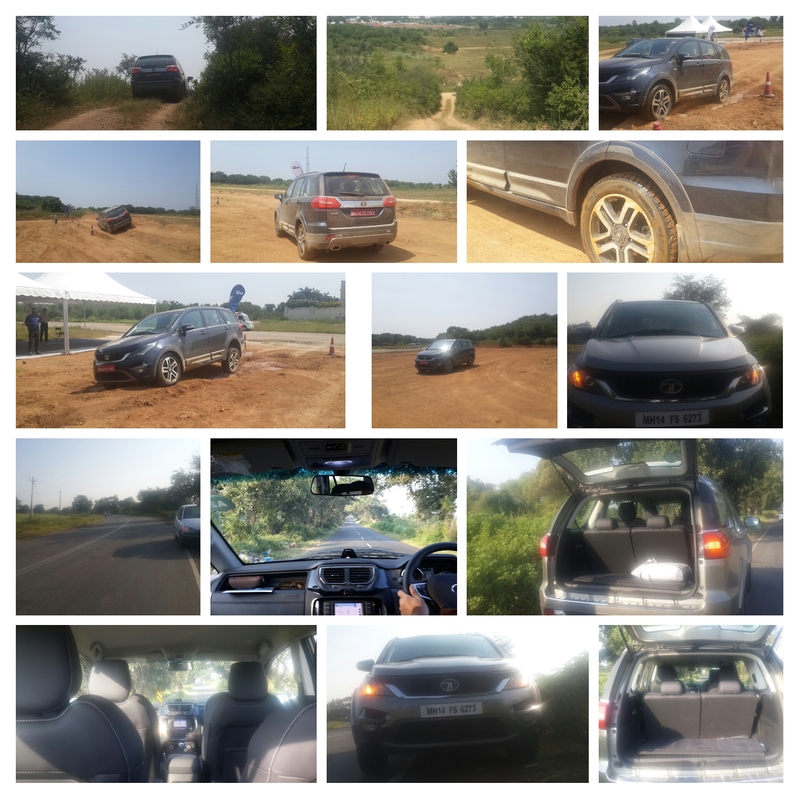 I was invited to Test drive the all new Hexa from Tata Motors in Hyderabad and I drove a total of 130+ Kms across various locations that were open roads, massive highways, city traffic roads, rough terrain areas etc. Being an auto enthusiast since ages and having driven scores of brands of vehicles across India, I can honestly say that the all new Hexa is a true power packed SUV with a ride quality and an impeccable off-road ability like no other. A radically different styling, with a monstrous elegance based on the ‘Impact’ design philosophy, which I experienced first hand with the Tata Motors Tiago test drive of 70 kms in Goa during the previous year. 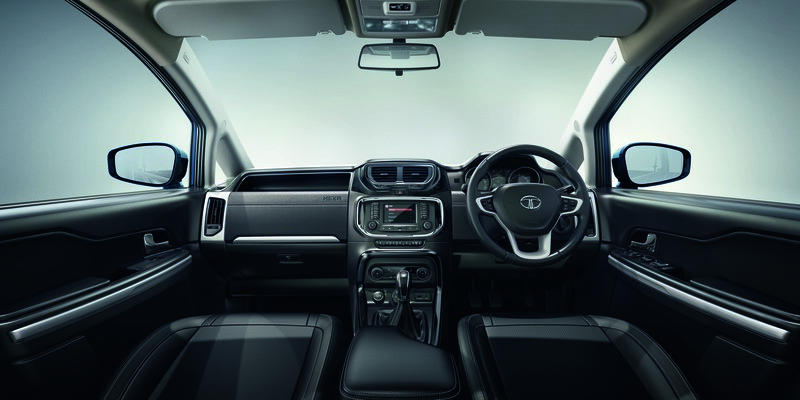 The Tata’s design team tested and executed these by connecting with their design teams across Italy, UK and India has without a doubt managed to design perfection with a balanced sporty look and tough exuberance. It has a massively gorgeous front grille, stunning projector headlamps and a bonnet that gives it’s driver a feel of being majestic as he or she takes control of the wheel. One thing you can be sure of while driving this magnificent beast it that the pedestrians take notice of this beautiful automobile gliding through the streets and powerfully imposing it’s arrival to the onlookers. At the rear, there’s a chrome finish slat that is flanked by the sleek wraparound across beautiful LED tail lamps that stands distinct. Another cool looking design feature is the rear twin-exhaust chrome pipes which look truly sporty and elegant. There are two transmissions on offer – a manual and an automatic and I drove both. I drove around 40 Kms of the Automatic and 90 kms of the Manual version. Both are simply magnificent. They are six-speeders and the very first thing you would notice with this power packed machine is that the “Power” builds up fairly easily as you start accelerating. The gorgeous steering gives you complete control over the roads and while driving it, wherever it was possible and permitted, I took the Hexa upto three-digit speeds and the most amazing part of it was the fact that none of us in the vehicle could actually feel that we were driving at that speed, it was that effortless. 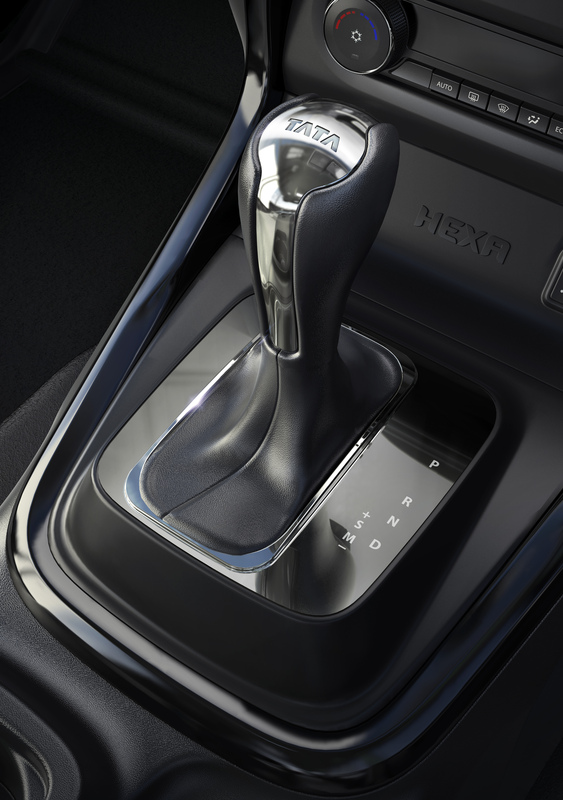 The Hexa gives you multiple modes to drive with. 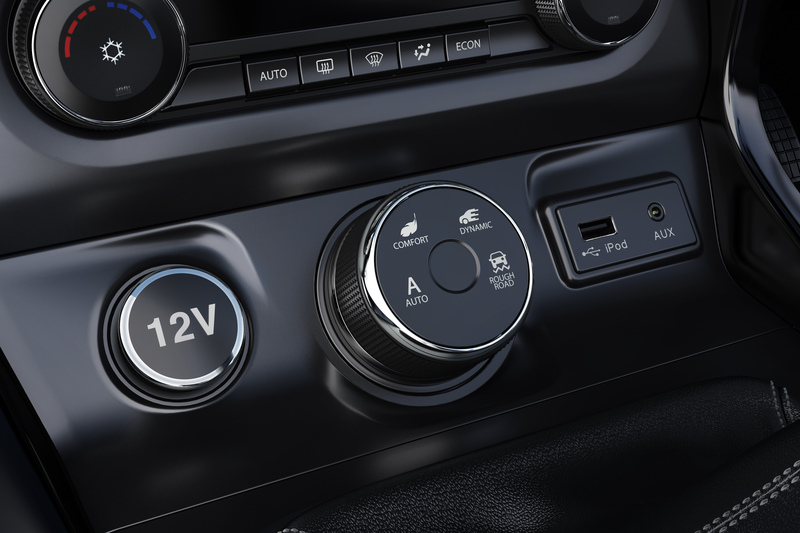 There are modes where the revs are held for longer and the engine and gearbox literally “learn”as the vehicle adapts to the driving conditions. On the manual drives, the Hexa delivered awesome features called the ‘Super Drive Modes: DYNAMIC, COMFORT, ROUGH ROADS and AUTO’. One can experience these by simply rotating a dial. For eg. In the Auto mode, the car adapts itself to the road and driving conditions whereas in the Comfort mode, it slips into RWD which is better for fuel efficiency. On the Rough Roads mode, one can sense that the monstrous beast has powered up more to the front of the vehicle while giving great control in tough terrains and finally my favourite, the Dynamic mode, which is the mode you would switch to, in order to awaken the beast within you and push the power and speed of the car to the ultimate test. I could feel the engine and the acceleration as the car zoomed past the massive open roads in this mode at blinding pace but at all times, ensuring the driver has complete control of the vehicle. Loved the way the seats are designed. 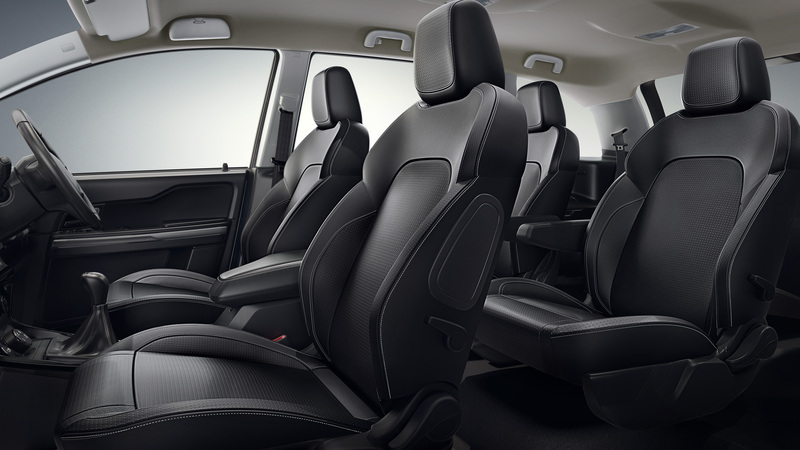 It’s luxury, comfort and control all in one. The seats are really high-up in the Hexa. There is enough space inside to host a party, just joking, but seriously, it is one of the most spacious cars I have ever driven with great luxury, comfort and power. It’s truly fully loaded adrenaline pumping power packed feature machine, for eg, the mood lighting feature. The console of Hexa houses a 5-inch colour screen and has yet another monstrous awesome mind blowing feature, the JBL 10-speaker audio system from Harman. 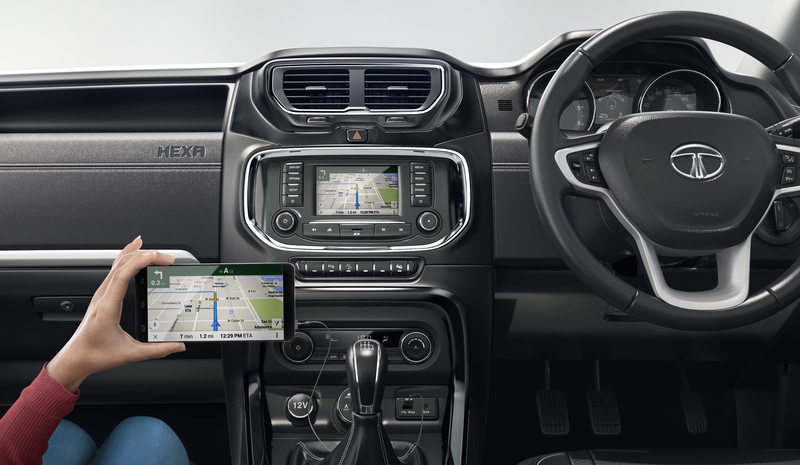 This system when connected to your smartphone streams navigation data onto the Hexa’s infotainment screen. 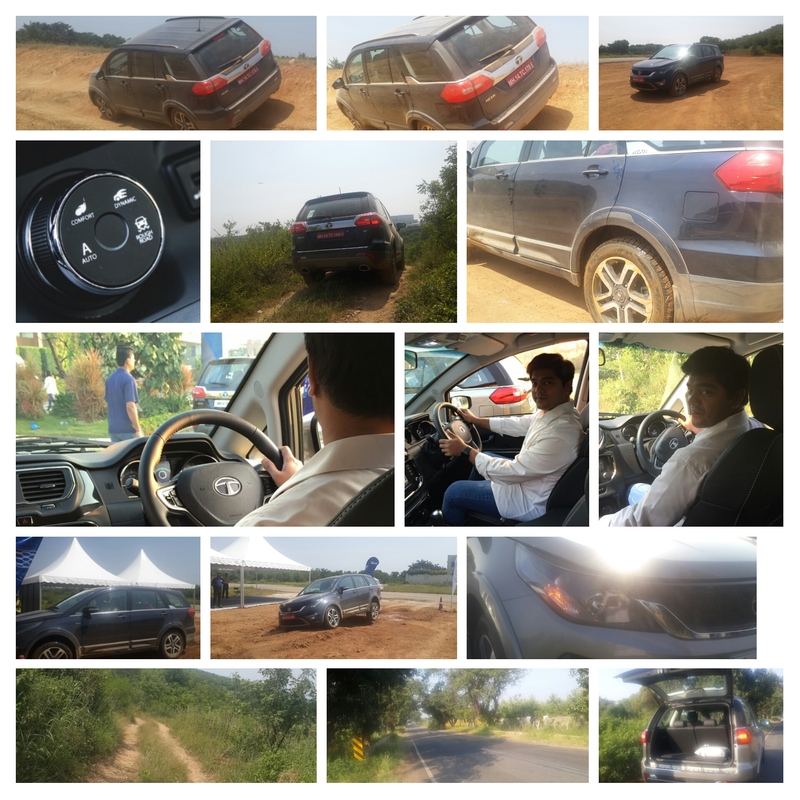 Finally, I also experienced the off-road with Hexa and let me tell you, it was off the hook! The car showcased abilities as I was perched in the seats in a 21 degree angle tilted and still completely comfortable and the vehicle smoothly powered back to the original driving angle. It’s ability to drive uphill, downhill with the touch of a button in the car was astounding and spectacular. The power to drive through potholes that looked like craters on Mars which were specially built to test how tough these powerful 19 inch alloy wheels can withstand. It drove through toughest terrains, deep potholes, angled up in the side and yes, my favorite, the ability of the vehicle to break and stop its power mode instantaneously and halt abruptly but, in complete control, showcases how much efforts have gone into the technical design and what level of engineering ingenuity has helped created this powerful vehicle ensuring comfort, space, luxury, stunning looks, adventure and safety, all in one! The manual is power packed and awesome, no doubt about it but yes, the automatic is truly the one which blew my mind away. It is without a doubt the most refined and addictive vehicle I have driven so far. The gear shifts are smooth, they transition truly the way they should. The turbo lag is also extremely well-controlled. As soon as you hit the ‘D’ mode while driving the Automatic, you instantaneously realize in your adventurous heart that this is where you truly belong. With the Hexa, TATA MOTORS has designed and created a luxury SUV. Loaded with features and technology-wise extremely well connected functionalities make it a truly spectacular driving adventure luxury experience. Glad to connect with you too. Thanks for your comments. Even I felt the same about driving mode and being adventurous. Very detailed analysis. Great meeting you at the event Ananth. Yes, Gowthama, it was wonderful indeed. Glad to connect with you too. Thanks for your comments. Excellent SUV with comprehensive safety equipment. It has great stability and unmatched power in its category. And one more advantage about it is, the exterior cover is given by the company just like Volkswagen does. 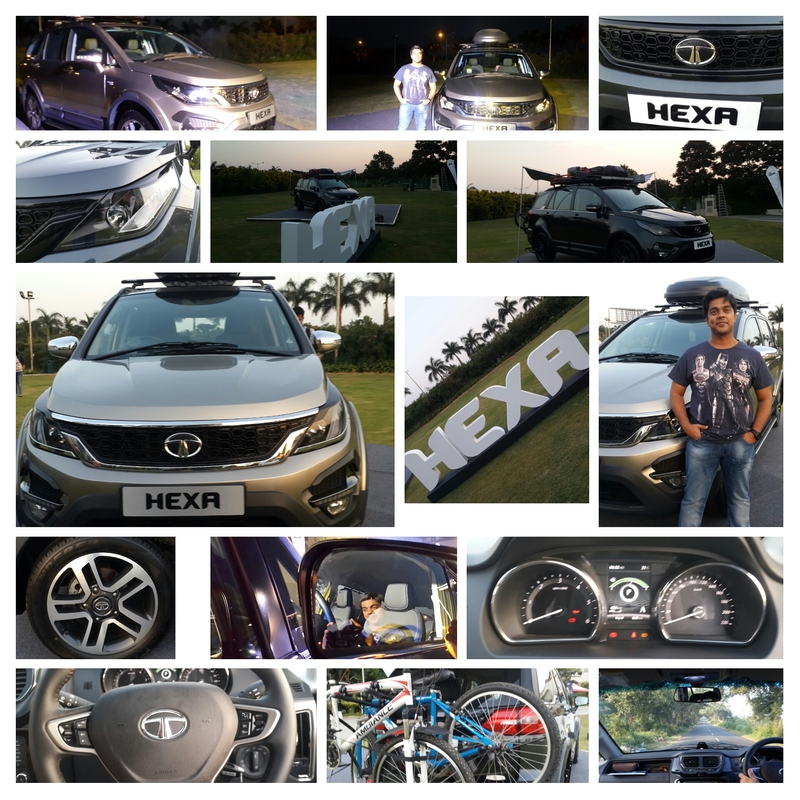 Thanks Kiara for your comments and your site too has an interesting link to Tata Hexa. Have a great day.